Each Brizard & Co. Havana Traveler contains a Le Grand S.T. Dupont Lighter, an interior five-count protective cigar case, flask and pockets for carrying additional cigar accessories. Brizard & Co., maker of cigar and fine living accessories, has teamed up with luxury goods companies and high-profile cigarmakers to create a number of new, limited-edition cigar accessory collections. The cigar tools—which include lighters and travel cases made with top-of-the-line animal leathers—will be on display at the International Premium Cigar & Pipe Retailers trade show this weekend in Las Vegas. The largest collection is designed for luxury goods maker S.T. Dupont. Called The Vintage Alligator Collection, the set includes two larger “Havana Traveler” cigar cases and three smaller cigar cases, each constructed out of calf and alligator leathers. There are also two Le Grand S.T. Dupont lighters, capable of producing both a soft flame and jet flame, enrobed in either charcoal grey or Cognac crocodile leather. Brizard's take on the Le Grand S.T. 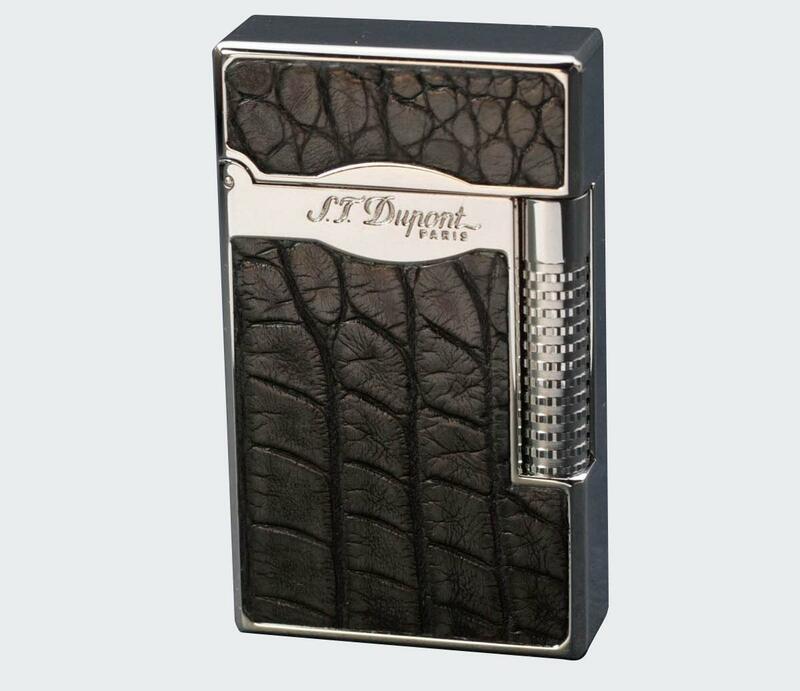 Dupont lighter, pictured here in charcoal grey crocodile leather. Each Havana Traveler contains a Le Grand S.T. Dupont Lighter, an interior five-count protective cigar case, flask and pockets for carrying additional cigar accessories. The cases are available in two color schemes: chocolate and Cognac, and charcoal gray and electric blue. The three smaller alligator cases are available in three color formats: chocolate and Cognac, gray and electric blue and a third, dark brown option made with juvenile alligator hide with vibrant orange calf leather accents and piping around the case. Only 99 pieces of each S.T. Dupont accessory will be available to the public. Brizard has also designed three cigar cases for French humidor and accessory maker Elie Bleu called The Ostrich Collection. Two of the cases are made with full-grain cowhide leather (in either camel or charcoal gray color) with ostrich belly piping and accents. The third case is wrapped in blue, 100 percent ostrich leather. The bottom of each case features an 18 karat gold or palladium inlay. Only 88 of each case will be released to the public. 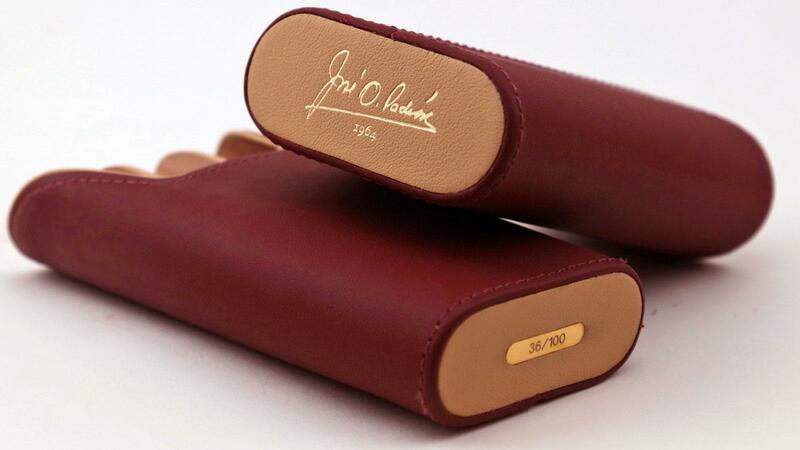 For Padrón, Brizard has crafted a burgundy leather cigar case called The Little Hammer. Cigar industry heavyweights Padón Cigars and Rocky Patel Premium Cigars have also teamed up with Brizard for limited-edition cigar cases. 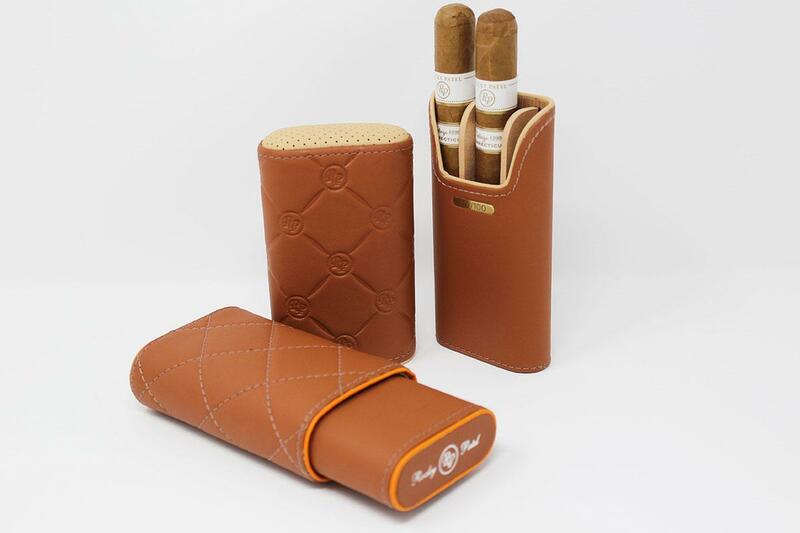 Both cigar companies are getting three-finger cigar cases designed to look like the interior of a luxury automobile. For Padrón, Brizard has crafted a burgundy leather cigar case called The Little Hammer, and fittingly, it’s adorned with an 18 karat gold tiny hammer—the insignia of Padrón cigars. According to Brizard, the material used to make the case is the same type of leather found inside a Rolls Royce. Only 350 cases will be available. For Rocky Patel, Brizard has designed The DBS Collection, which consists of three finger leather cigar cases inspired by the interior of an Aston Martin. The first case features quilted leather with diamond-shaped stitching and orange piping accents. The second showcases exterior leather stamped with the Rocky Patel crest along with cream piping along the mouth of the case. Both options are topped with perforated leather. Brizard says that the material used to construct the accessories is the same type of leather found within an Aston Martin. Only 100 of each case will be released. The DBS Collection for Rocky Patel consists of three-finger leather cigar cases inspired by the interior of an Aston Martin. Each limited-edition collection will be distributed by a different company. 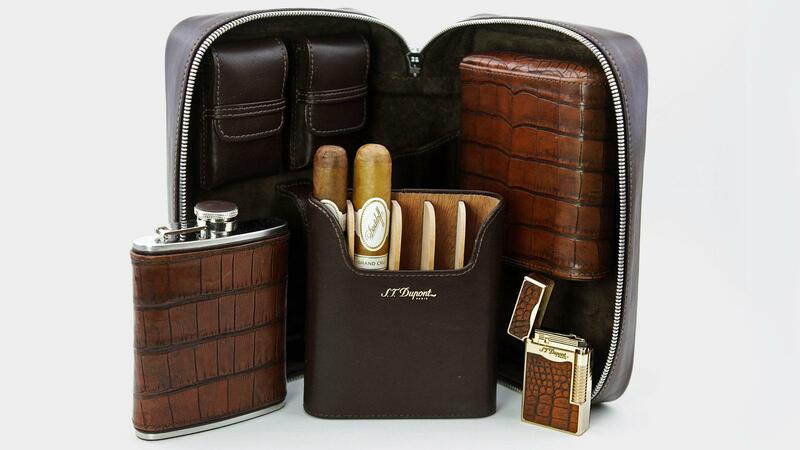 Davidoff of Geneva will distribute the Vintage Alligator Collection (S.T. Dupont accessories are distributed by Davidoff in the United States). Elie Bleu will distribute the Elie Bleu Ostrich Collection and Padrón and Rocky Patel will distribute their respective accessories. All the limited-edition cigar cases in the four collections are handmade in the U.S.
Pricing for each luxury collection will be unveiled at the IPCPR trade show.